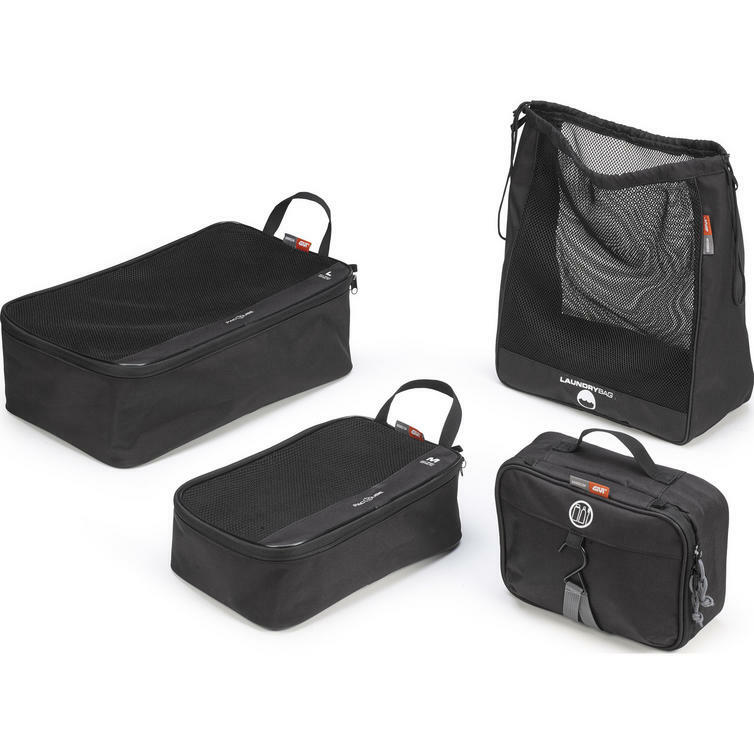 The Givi 4-Piece Travel Set (T518) is part of the latest Givi collection. 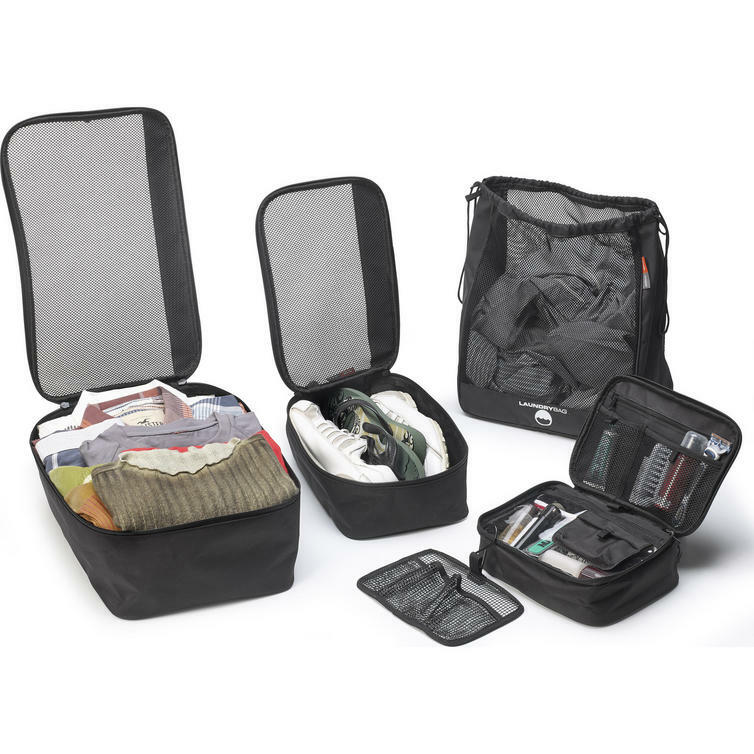 4 Pieces Givi Travel Set consisting of: Pack cube M - L: 2 soft bags supplied in two different sizes (one medium and one large), with a mesh section in the lid and carrying handles for easy transportation; Laundry bag: a soft bag with draw-string closure and mesh sides to provide ventilation for clothing / laundry; Toiletry bag: a container for toiletries complete with a hook for hanging in the bathroom / shower-room and including a removable pocket for bottles. View all Givi Motorcycle Accessories. 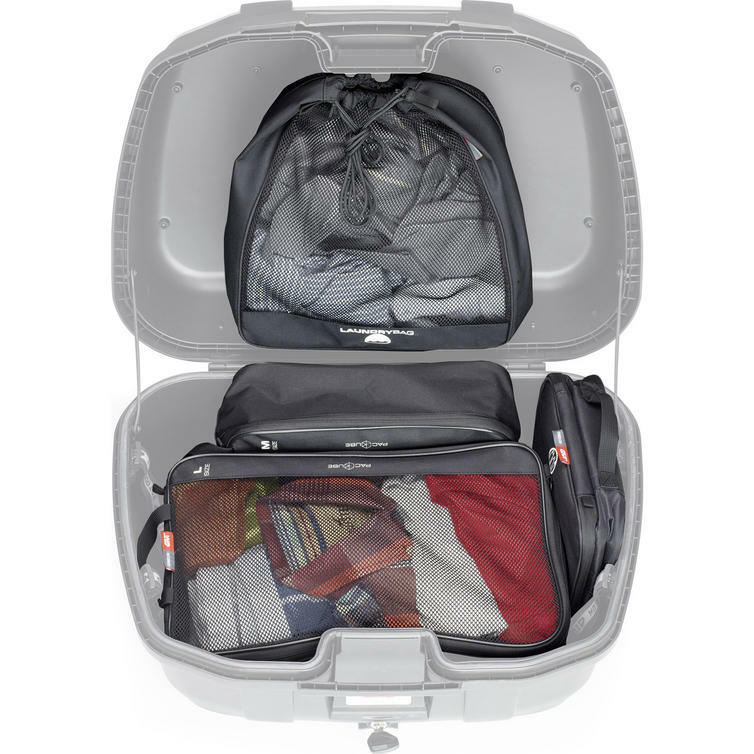 View all Miscellaneous Luggage.